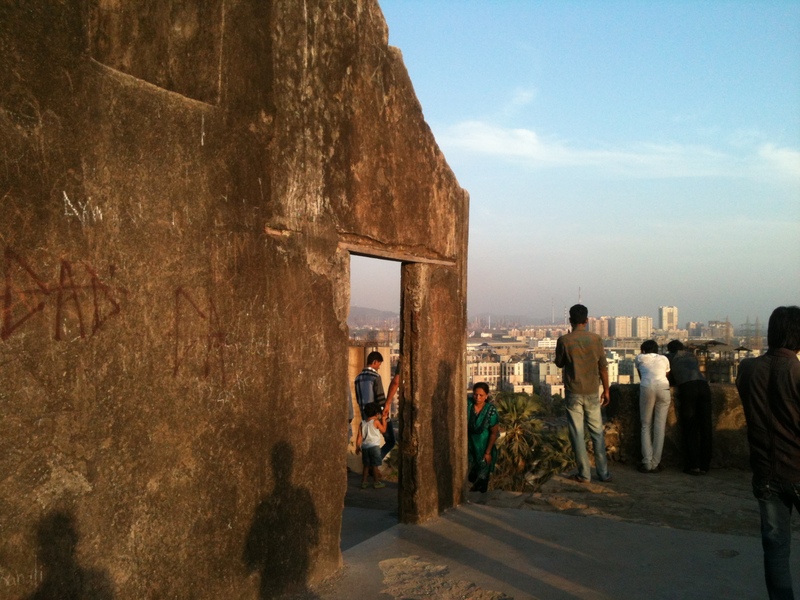 Famously known as Sion Fort is situated atop a hillock. The garden at its base is in an utter dire state. 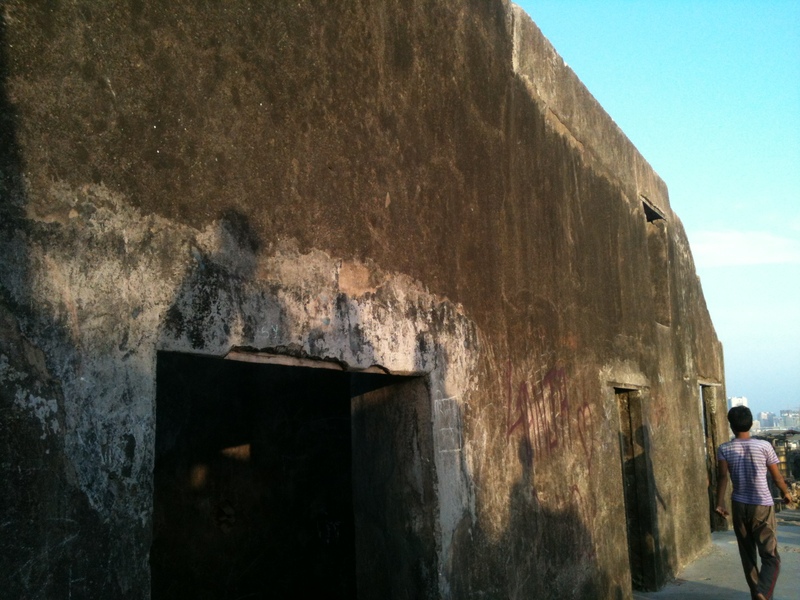 The fort was built between 1669-1677 by the then Governor of Bombay Gerarad Aungier. He was the third governor of Bombay who is known to have been responsible for doing great things for the city. 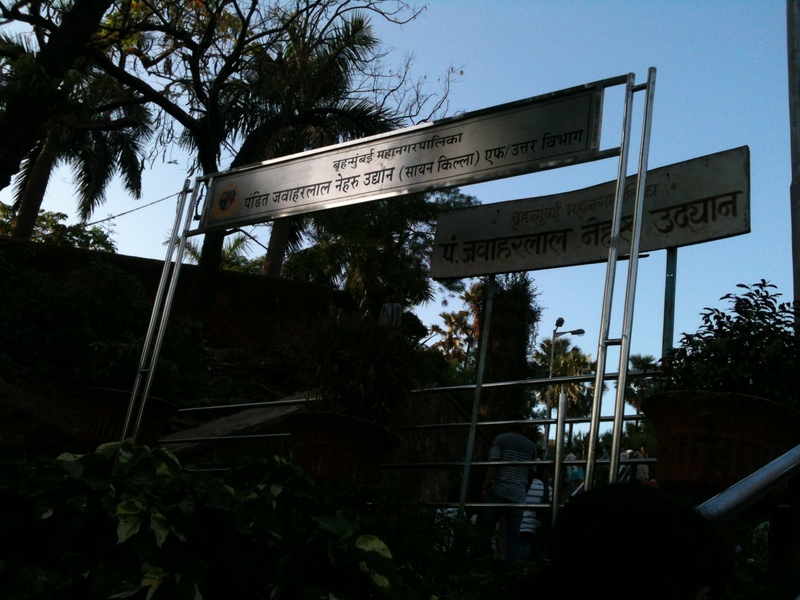 At the entrance of the garden is the office of Archaeological Survey of India. You might wonder that its meant for the upkeep of the place. Looking at the state of the fort and garden, Mr. Gerarad Aungier might be turning in his grave. 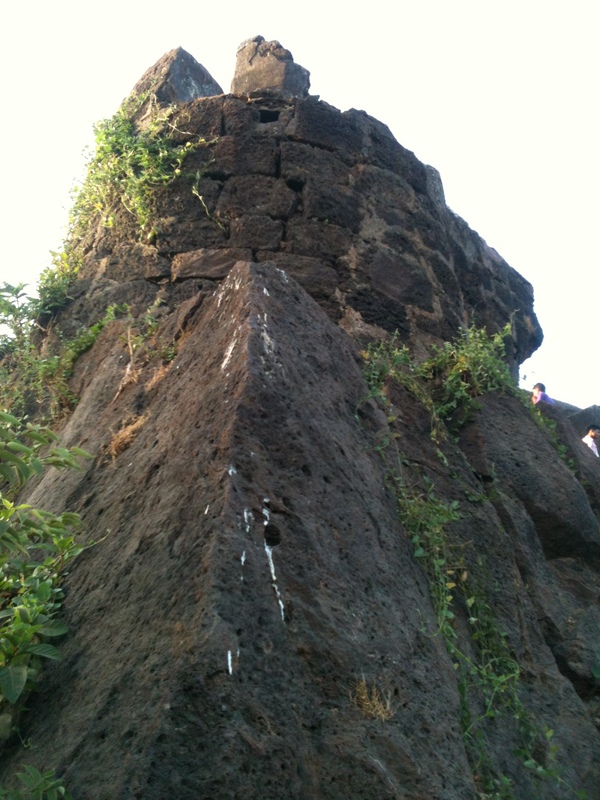 The fort has turned into ruins and is crumbling. There is litter and filth everywhere. In the centre of the park is supposed to be a cascading water fountain where I have never seen water except in the rains. 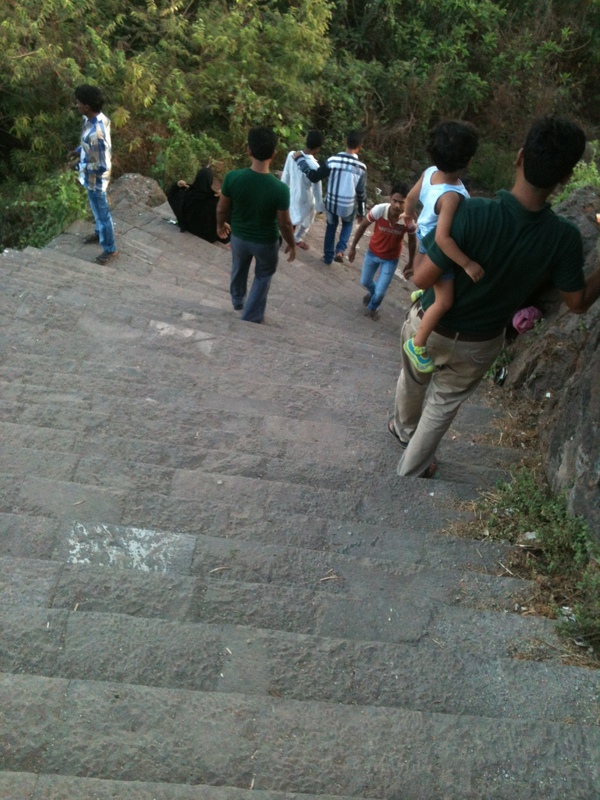 Few steps take you to the top of the hillock. 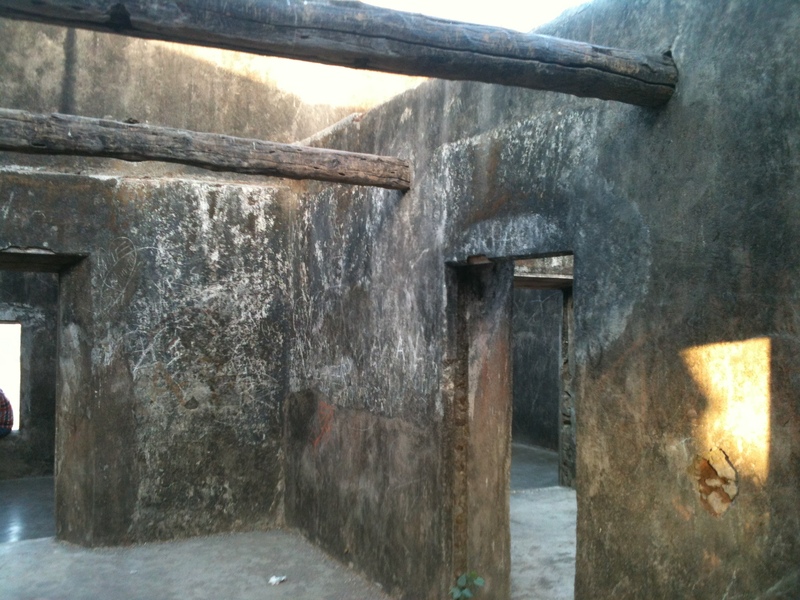 There are a couple of rooms there with wooden beams but no roof (telling you so that you know which seasons to avoid). Mr Aungier made these provisions in case you feel like staying back for the evening (just kidding!). People have left their signs and marks on the walls. This behavior is very unique to Indians I suppose. This is like teasing the guy who came after you. One of the signs said, “PKG was here”. What is this Mt. Everest or something? Another sign read, “RKM and PJ are meant for each other” inside two hearts overlapping each other. This instantly reminded me of the Venn diagrams that my horrible math teacher taught me. Whats the point anyways? They didn’t leave their phone numbers or addresses how do I verify if this Mr & Mrs Acronym are together now. The view from the top shows you the extent of infestation from the Concrete czars. This is a special picture. I was almost going to lose my most materialistic possession in this world, the Iphone (yes I don’t own diamonds!). As I was clicking away, the watchman came to me and said, “Madam, haven’t you read the notice board? You can’t click pictures in this park. Please deposit your phone at the exit.” So I asked him, “Sir, you allow this fine gentleman standing behind you the freedom to pee in a public place like this. 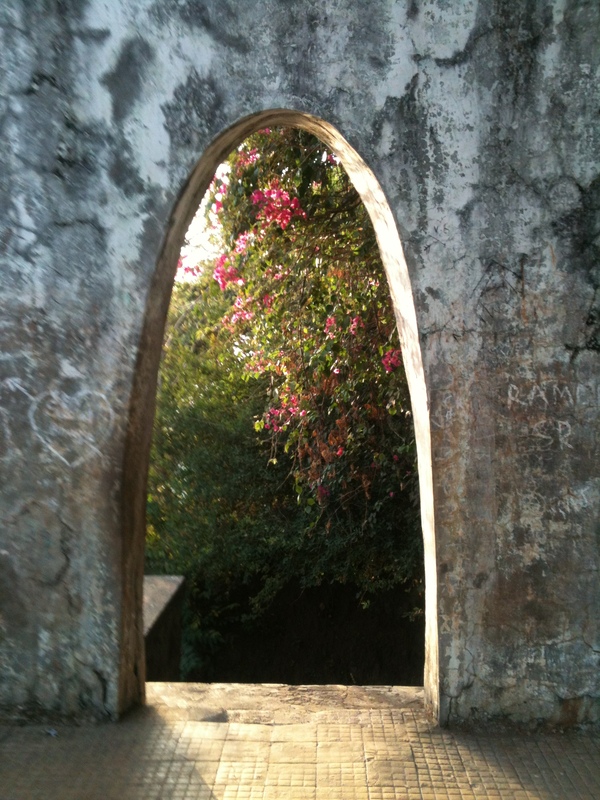 But don’t allow me to take pictures of these crumbling walls?” Ok ok did I mention I meant to ask. On a holiday its jam packed. 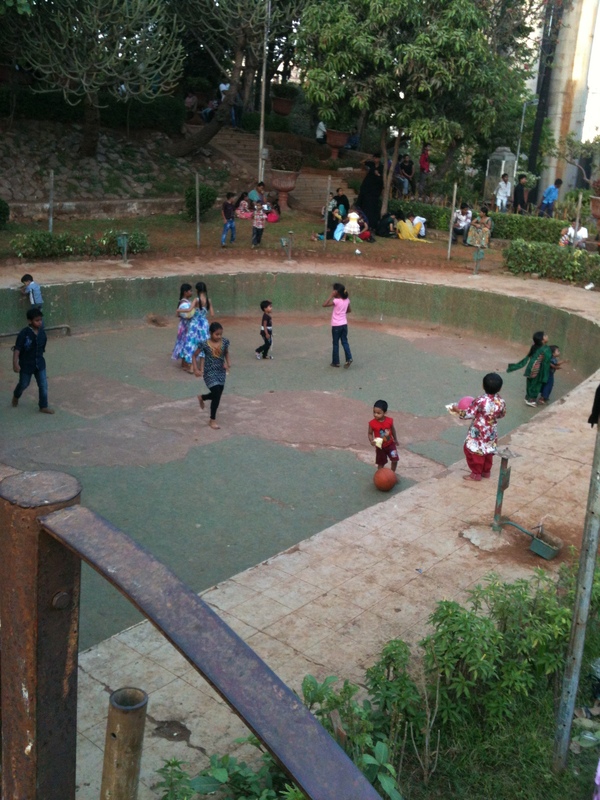 The water bodies and pool are generally used as a play area. Hey want to play cricket in the pool? 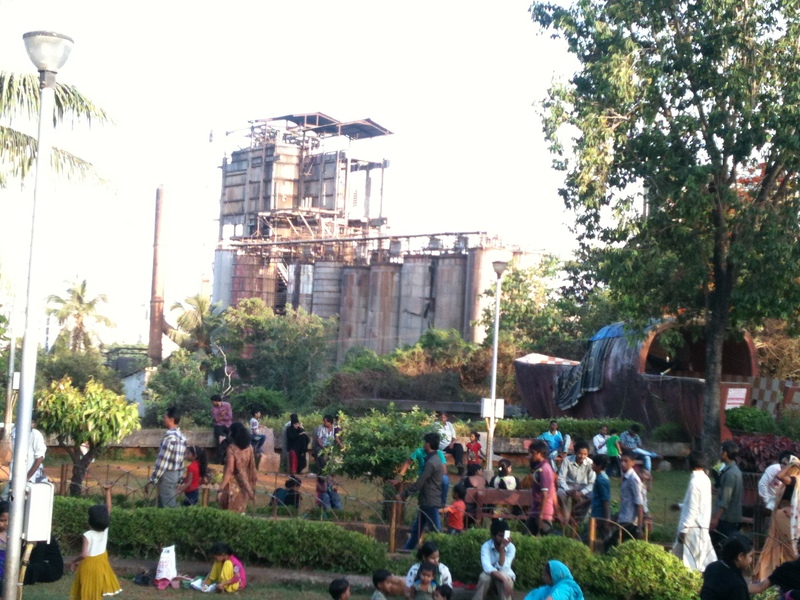 The VVF factory spewing out pollution in this area. 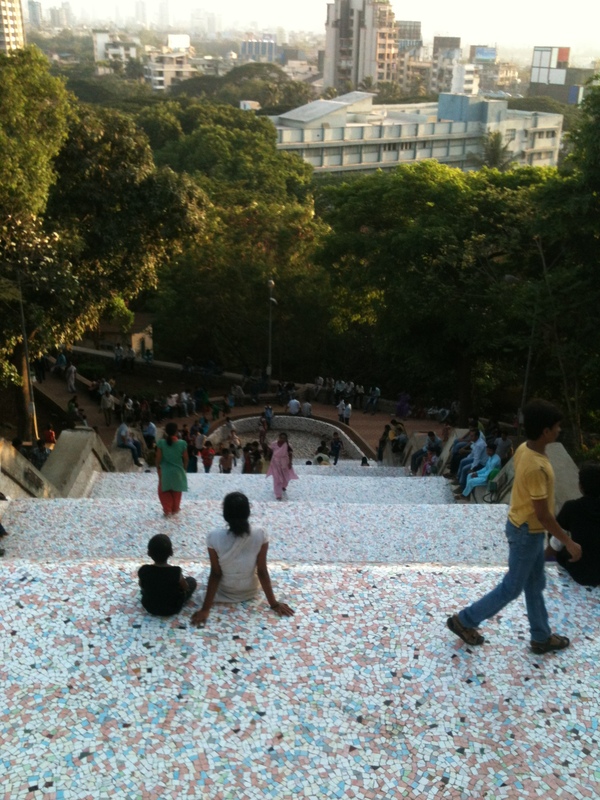 This is cascading waterfall feature which is graced with water only when it rains. This is a depressing place. 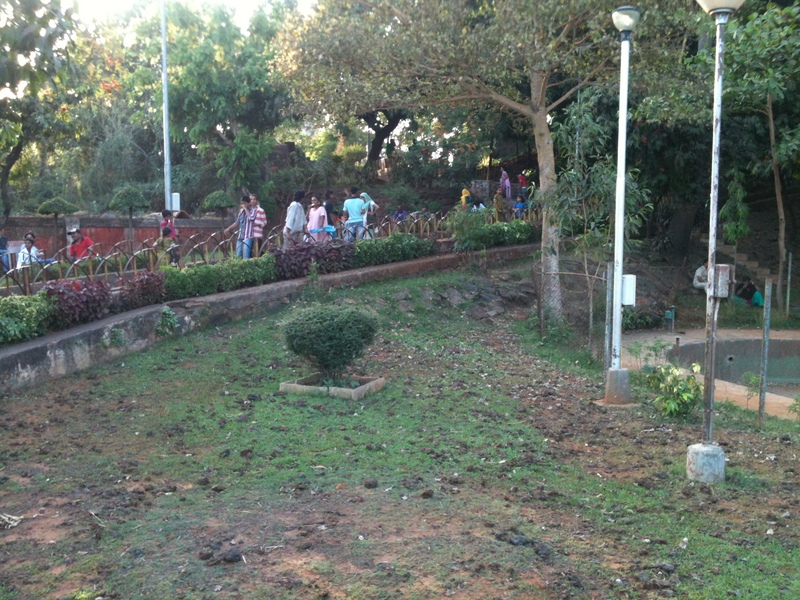 People have vandalised it and the administration is indifferent. I don’t know who is to blame. 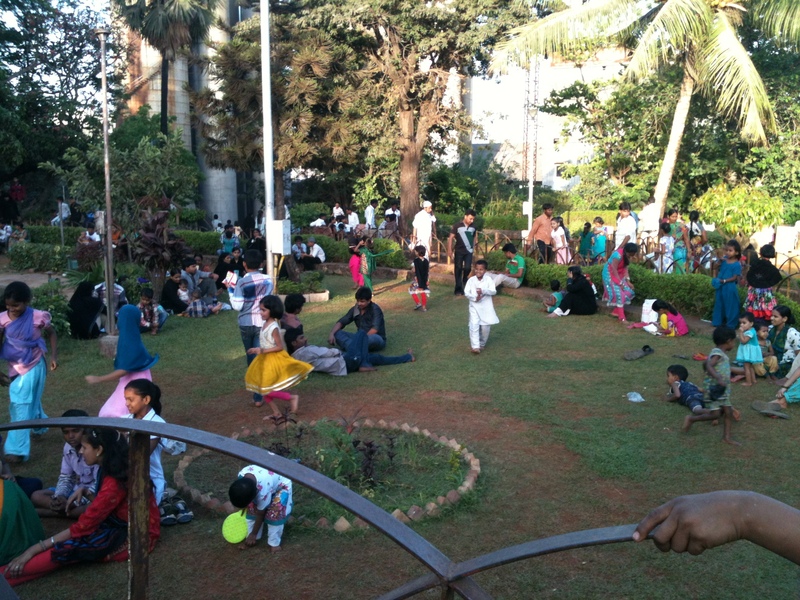 The only interesting thing that happened to me in this park is when I attended my first Aam Aadmi Party meeting. When it was my turn to speak I told them that we should adopt this park. 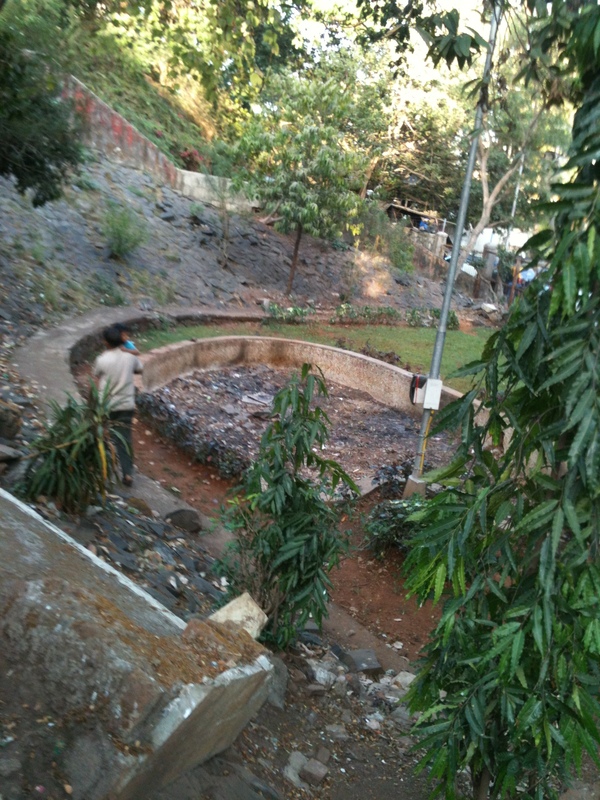 Stir up all the locals and demand the Municipality to maintain it.